The Whale Supersub range of Smart automatic bilge pumps are a super slim, low profile design making them ideal for areas where space is at a premium. 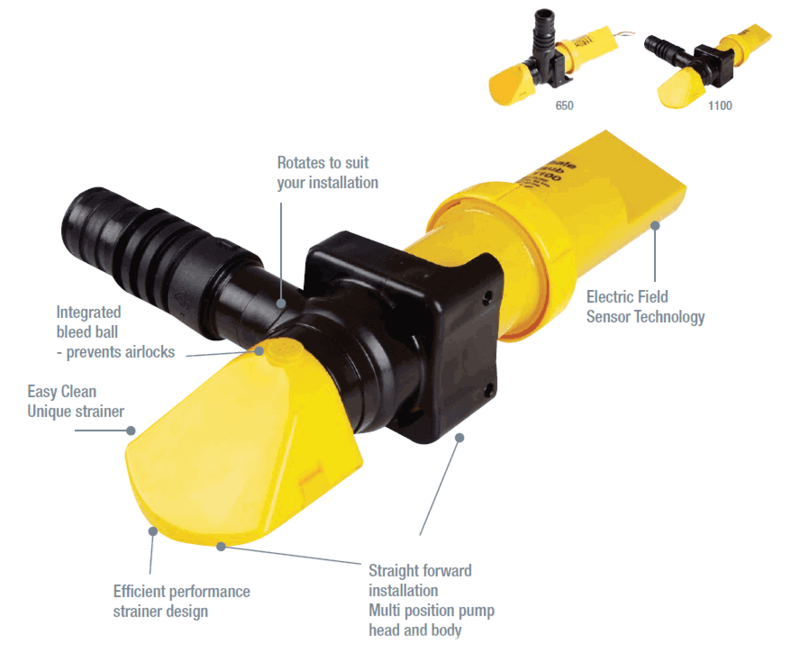 An integral electric field sensor automatically switches on and off with the detection of fluctuating bilge water levels. 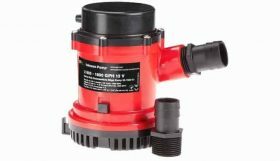 Designed for quick and easy installation, the multi position pump head and outlet fits neatly into almost any area and position. Whale Electric submersible and manual bilge pumps are manufactured to the highest standard. Whale manufacture bilge pumps to suit vessels of all sizes from small runabouts to large yachts and cruisers. They are available in manual. automatic or non-automatic versions. Boat Hut has access to the entire Whale range and if it does not appear on our website then please feel free to give us a call to provide you a competitive quote. 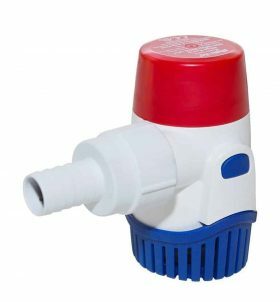 All Supersub models, Supersub 500, 650 and 1100 and Supersub Smart 650 and 1100 are uniquely designed, specifically for fast and efficient removal of bilge water from leisure craft. The Supersub range fits into narrow and low spaces that other bilge pumps cannot reach. SS5012, SS5022, SS1012 AND SS1024 ARE NOT AUTOMATIC PUMPS. Supersub Smart 650 and 1100 are automatic. The pump will sense the presence of water and will switch on the pump, turning it off again when the water level has dropped. The switching is solid state hence there are no moving parts. 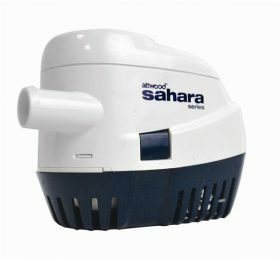 The Supersub Smart models allow waves of water to pass over, without turning the pump on every time, as it has a built in time delay. LV1219 Non-Return Valve (recommended for SS5012 models) . BE9003 / BE9006 Automatic, water activated, electronic switch (For use with SS5012, SS5022, SS1012 and SS1024 models). 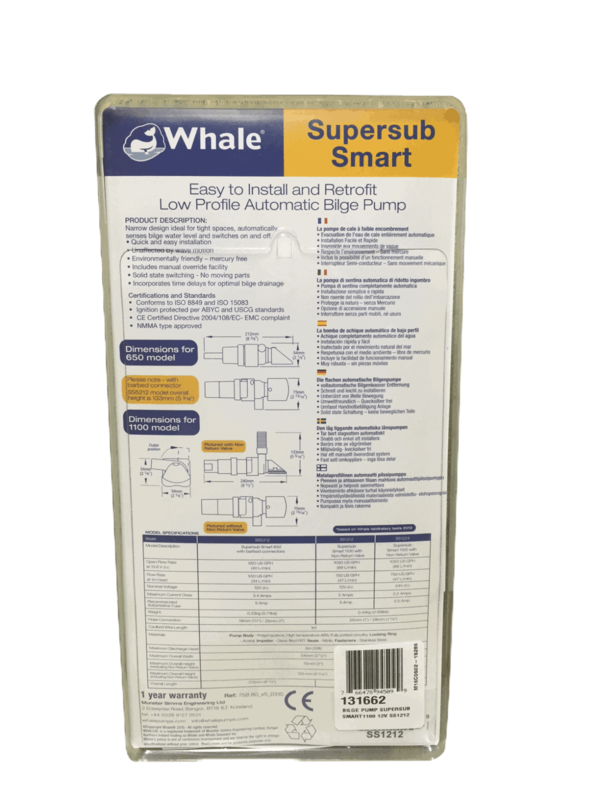 • The Supersub and Supersub Smart range of products are designed to pump normal bilge water. Output capacity depends on installation and operating conditions. If this product is intended to be used for any other purpose or with any other liquid, it is the user’s responsibility to ensure that the pump is suitable for the application and, in particular, that the materials are fully compatible with the liquids to be used. • This product must only be used in the bilges of leisure craft. 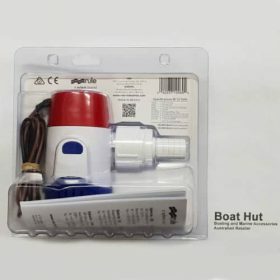 If this product is to be used as the sole and/or primary bilge pump, the Supersub 500/650/1100 and Supersub Smart 650/1100 pumps should only be used in boats up to 24m (78.8 ft). 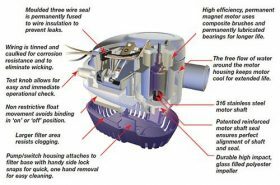 • The bilge water should only be evacuated through a correctly installed skin fitting above the water line of the boat.